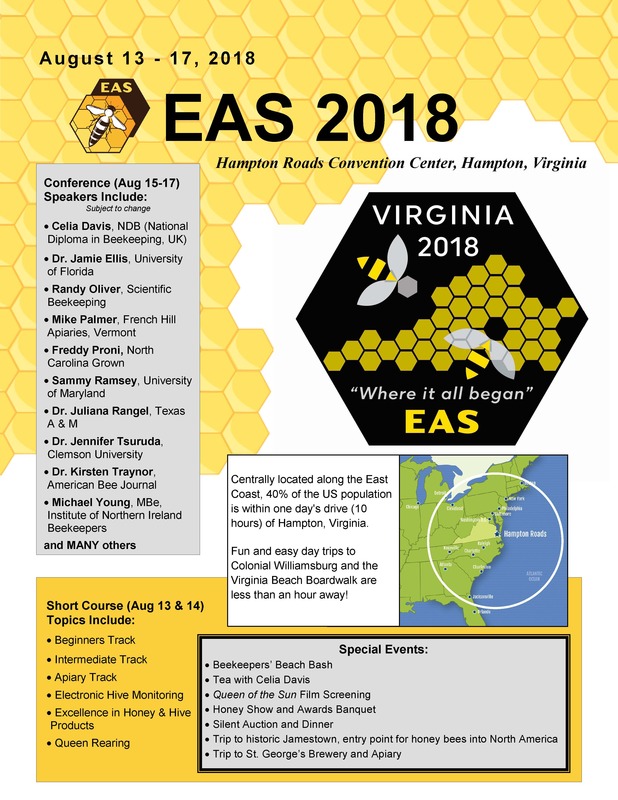 The next EAS Short Course and Conference is August 13 – 17, 2018 at the Hampton Roads Convention Center in Hampton, Virginia. This location is midway along the Atlantic coast and within a 10-hour drive of 40% of the U.S. population. A preliminary speaker list is available and more information including housing info can be found on their website at http://www.easternapiculture.org/conferences/eas-2018.html.